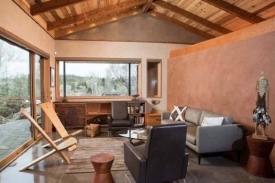 Now furnished, the living room reflects the warmth of the wood ceilings, lighting and colors. 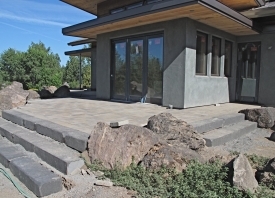 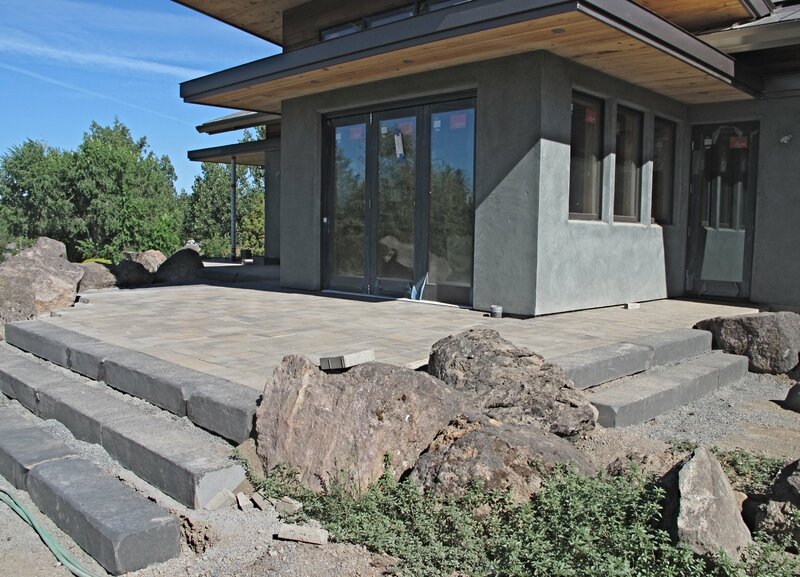 Pavers, basalt steps, and boulders create beauty and grace on the southern patio while extending the living space to the outdoors. 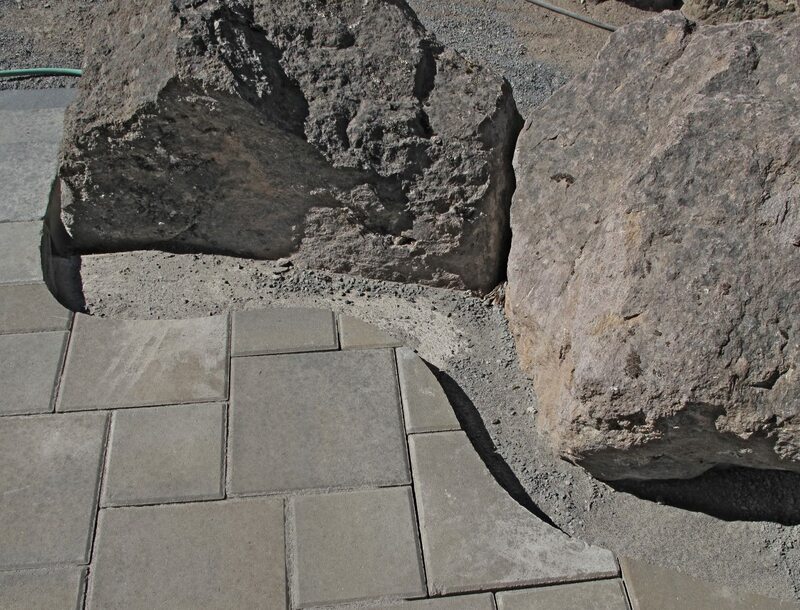 The pavers on the patio were cut in a curve around the natural boulders to soften the edges. 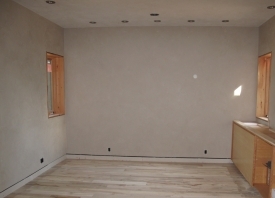 The den area looking nearly finished. 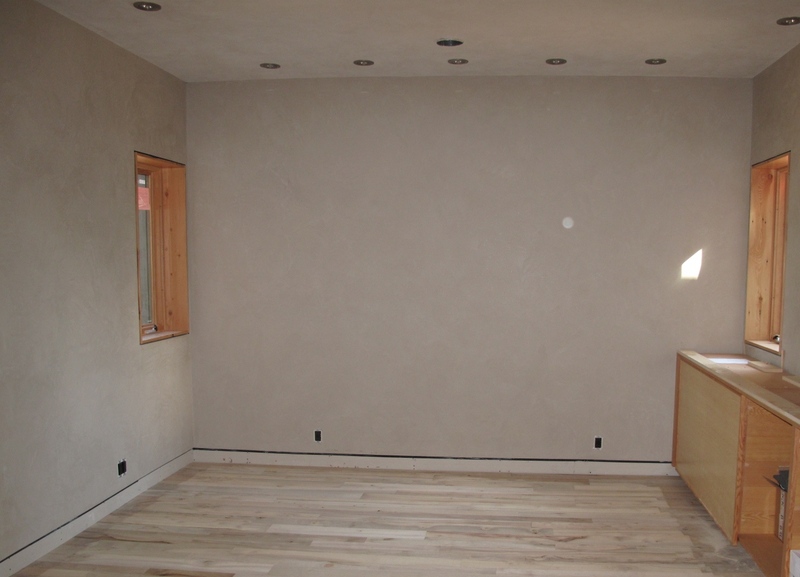 American Clay walls, built in cabinets, myrtlewood flooring, LED lighting. 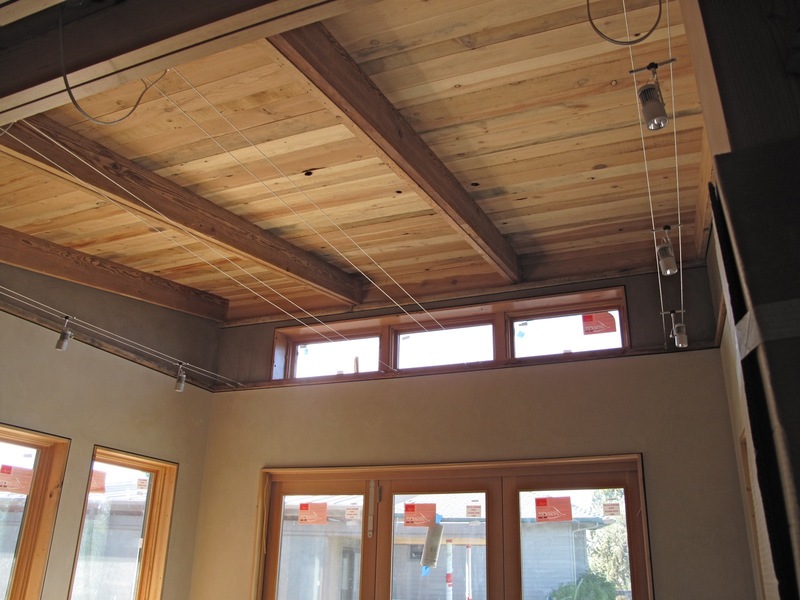 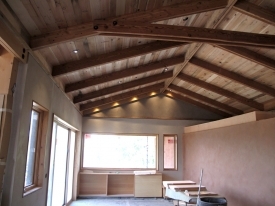 LED lighting, reclaimed wood ceilings, lots of natural light and American Clay on the walls. 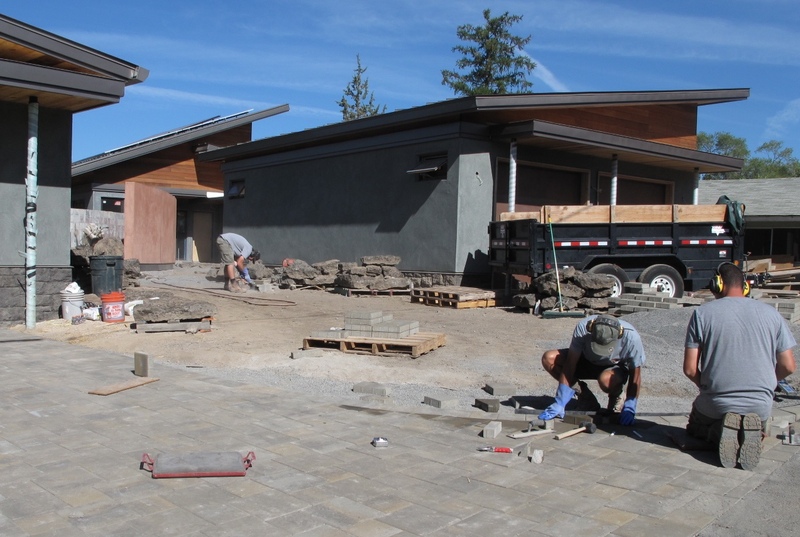 The ADU driveway underway with pavers. 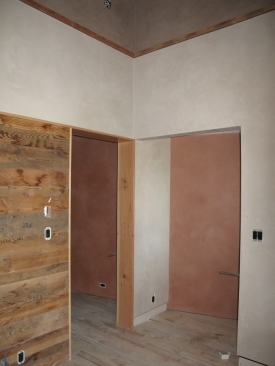 American clay on the walls, reclaimed wood ceiling and LED lighting in place. LED flower lights create a warm glow on the tiled walls in the guest bath in the main house. 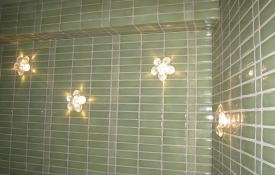 The tiles are made from recycled, crushed glass. 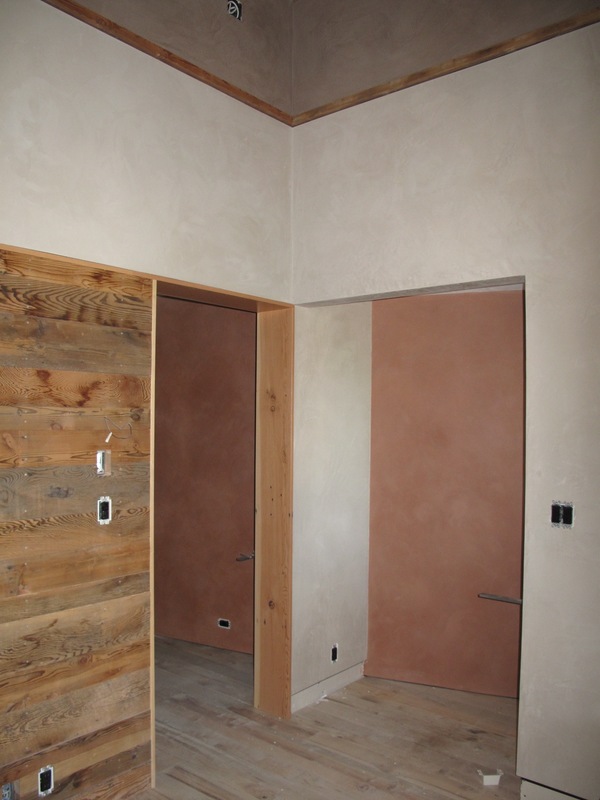 The textures of the master bedroom with American Clay on the walls, reclaimed wood on walls, ceiling and trim work, and salvaged myrtlewood flooring. 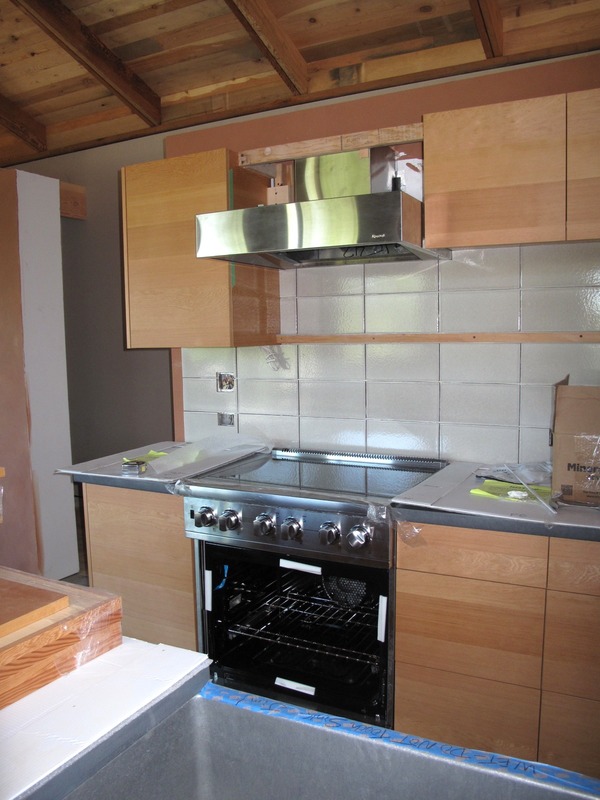 The custom cabinets made of FSC lumber, backsplash tiles from recycled materials, custom concrete countertops. 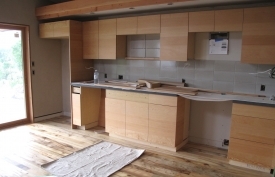 Kitchen cabinets made of FSC lumber, salvaged myrtlewood flooring, and American Clay in the ADU kitchen.